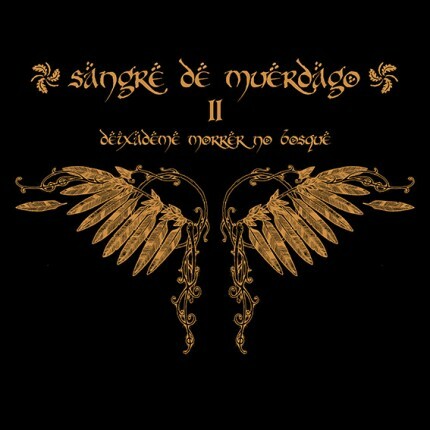 Related links to "Sangre De Muerdago - Deixademe Morrer... 2xLP"
rerelease of the second Sangre... Album on Vinyl! comes in red vinyl and has an amazing etching on side D. This week's top pick is an impressive and gorgeous new double-LP release from SANGRE DE MUERDAGO. The album is titled "Deixademe Morrer No Bosque" and features two different (and equally awesome) vinyl configurations w/ a custom laser etching on the D-Side.